Today, I’m giving you a tour of my closet! Frequently requested, I am excited to finally give you a look into my closet and how I keep everything organized. Robin and I live in a open-floor plan loft apartment, so that means that closet space is more or less limited. There is a walk-in closet in the apartment, but when you’ve got a stylish SO, that means there’s not a whole lot of room in that closet. 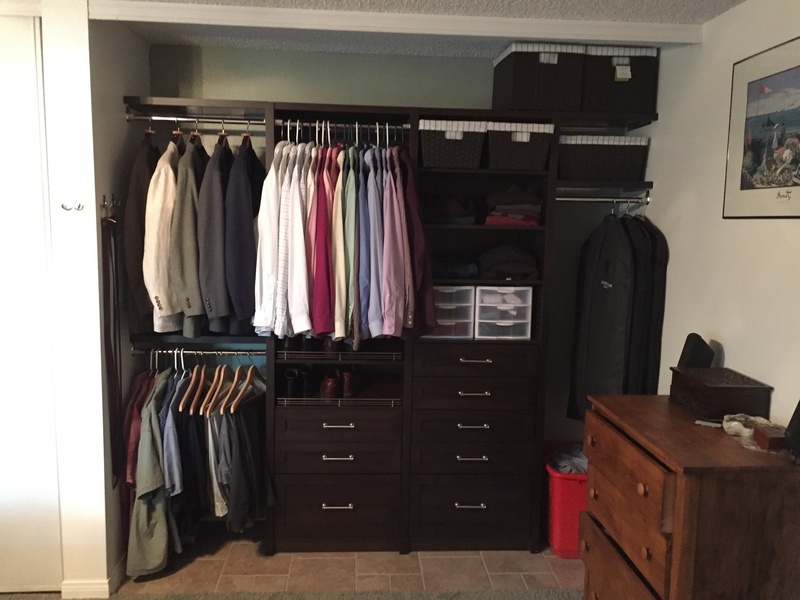 Though we did try to figure out a way to outfit the walk-in closet to suit both of our needs, we finally determined that it would simply be too cramped, so I handed over the walk-in closet to Robin and embarked on finding my own solution. The system I decided on after a lot of thought, design and comparison was from the Container Store – their Elfa system. Highly customizable, practical and, of course, very stylish. Checks all the boxes! I’m pretty pleased with how it’s configured and how everything came out. I realize that I left out a lot of details in terms of the specific brands of some of my clothing, shoes and accessories, but I didn’t want this video to get super, super long. However, if you’re interested in knowing more, I can definitely shoot a follow-up to get more detailed. Just let me know in the comments – though you certainly get all of the outfit details in every post. Great content mate! I really like it, well done, it seems all okay !! Well, now that we’ve all come INTO the closet, it was worth it. Bravo on the threads! Being out in the open like that don’t your clothes get all covered with dust?